If you have a remote site in your home country, then you are at risk of workers doing the dog and pony show when you come to visit. If your remote site is in China, then you can bet on the dog and pony show. I even know of one big Western company where the home office made the Western GM so busy that he could only put 40% of his energy on the factory he was leading. The company policy forced him to trust an experienced Chinese manager who could lead as he had little other choice. Yet this Chinese guy was just experienced enough to manipulate his relationship with this Western GM. Result was mediocre performance protected by the Western GM. It was painful to watch. The Chinese leader could put on the best dog and pony show for this GM at any time. That was the manager’s key ability. He could dog and pony show with the best of them and is still getting rewarded for that ability while the GM is fooled. So that is not actually remote as that Westerner is the GM and has his desk in the China factory. And he still gets manipulated all over the place. If you are abroad, and fly into China three or four times a year, what are your chances of avoiding the dog and pony show? I knew another factory that has bad quality and bad worker discipline. However, it is clean and orderly whenever the boss from America visits. When he leaves, the same problems immediately re emerge. He owns this factory, and it runs that way for him. I cannot emphasize enough how important it is for you to hire on character when you come to China. I also cannot emphasize enough that you need to know what is really happening no matter how well you think you know your people. Any gap in performance should send you straight for help. See this Info Graphic for thoughts on Recruitment Agency China work. 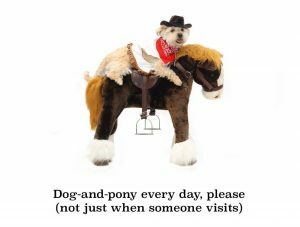 Do not put up with the dog and pony show. Do not just put in webcams. They are easy to game to and so much work to keep up on. Fire the bum leading your operation. Get a real leader who gives real results and is the same every day and not just when you come. Then you can get a good night’s sleep and for a good reason.